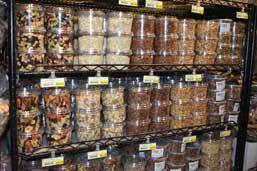 The bulk foods department at Zagara’s Marketplace features an assortment of products including nuts, trail mixes, spices, seeds, and much more. 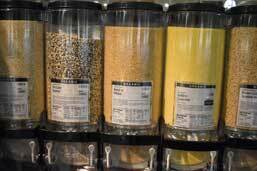 Our bulk foods department features dozens of quality products and you can select just the right amount to meet your needs. Make your own peanut butter, almond butter, cashew butter, and more. Use our restaurant-quality equipment to grind and blend your own perfect spread. 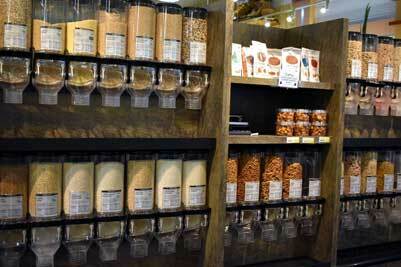 From Almonds to Trail Mix and Oats to Yeast, our bulk foods department is full of wholesome and healthy products. 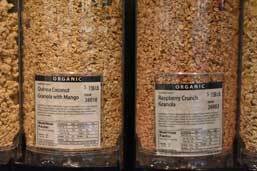 The Zagara’s bulk foods department features a wide assortment of fresh, high-quality products. 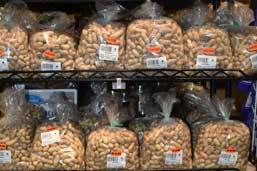 Choose from an assortment of bulk nuts including walnuts, pecans, pistachios, and more. 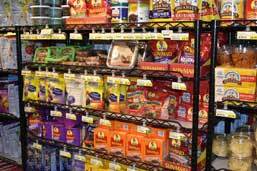 Find the specific type of trail mix to satisfy your taste buds. 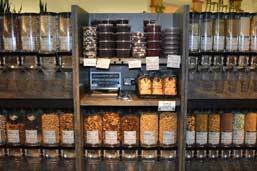 Choose from a variety of dried and candied fruits. Find the unique baking products and spices you need including oats, yeast, and much more. Zagara’s is proud to offer an extensive selection of certified organic products. Select your favorite granola and purchase just the amount you need. Purchasing bulk helps keep your products fresher. 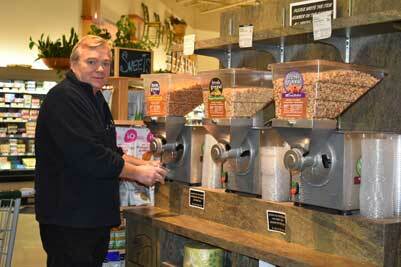 In addition to managing our produce department, George also manages our bulk foods. 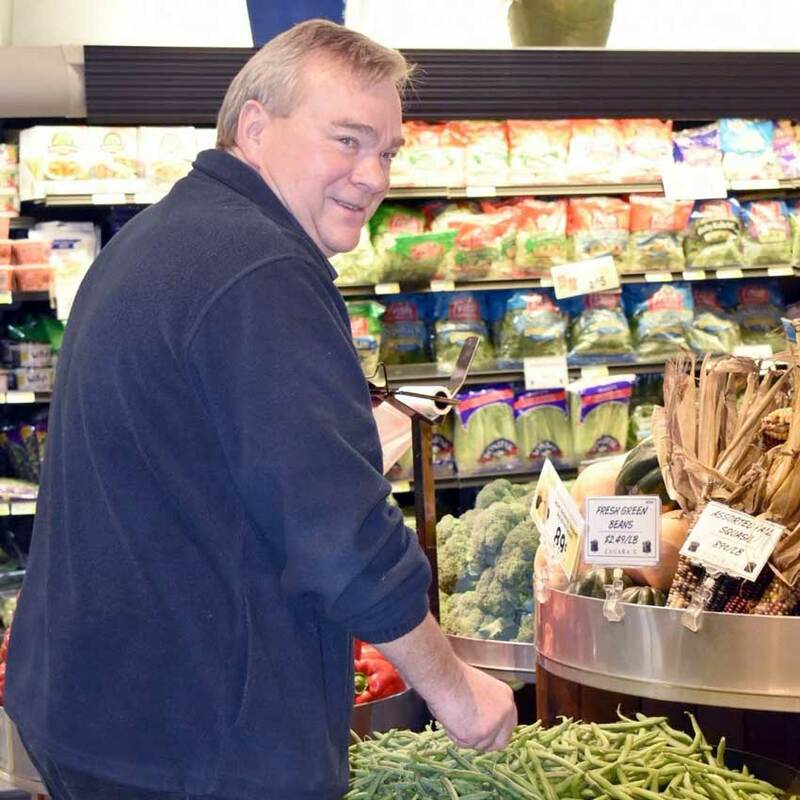 His many years of experience and attention to details helps us offer an excellent assortment of bulk food products including nuts, dried fruit, spices, trail mix, baking products, and more. One of George’s favorite products is our make your own station where customers create their own peanut butter, almond butter, and more.